When a pro hockey prospect goes down on the ice surrounded by suspicious circumstances, Shade and Angie must join forces to solve the mystery and save a life. When a multi-million dollar racehorse goes missing, Shade and Angie head to the track to find answers, and encounter unexpected complications along the way. Secrets, lies, and audiotapes. An attempted murder (or suspected suicide attempt) sends Shade and Angie to the eclectic Toronto Islands to find the truth behind the dramatic story unfolding around them. Hired by an unlikely source, Angie and Shade search for a missing minor, who’s gotten caught up in a dangerous situation while hustling for fame. Angie and Shade put their hearts and finances on the line in the seemingly glossy world of speed dating to catch a predatory identity thief. A simple surveillance case at a karaoke bar in Little Korea escalates to contain real risk, forcing Shade and Angie to call in familiar reinforcements for help. 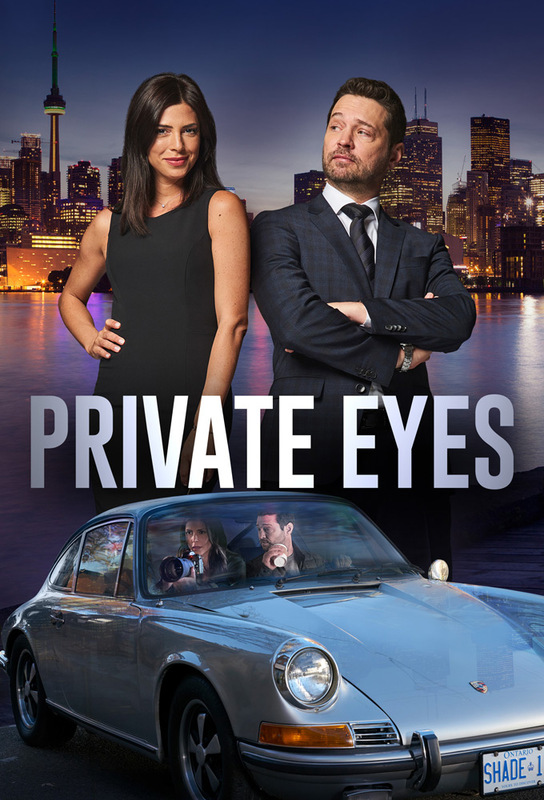 When a lifestyle company’s CEO is threatened, Shade and Angie need to find the source, despite her insistence that everything is going according to her very complicated plan. Shade and Angie track a magician who escaped police custody; Shade receives a tantalizing offer. A brazen jewelry heist throws Shade and Angie into the wild world of weddings, and forces them to go undercover as an engaged couple in love.